This report describes and evaluates the molecular diagnostics technologies that will play an important role in the practice of medicine, public health, pharmaceutical industry, forensics and biological warfare in the 21st century. This includes several polymerase chain reaction (PCR)-based technologies, fluorescent in situ hybridization (FISH), peptide nucleic acids (PNA), electrochemical detection of DNA, sequencing, mitochondrial DNA, biochips, nanotechnology and proteomic technologies. Initial applications of molecular diagnostics were mostly for infections but are now increasing in the areas of genetic disorders, preimplantation screening and cancer. Genetic screening tests, despite some restrictions, is a promising area for future expansion of in vitro diagnostic market. Molecular diagnostics is being combined with therapeutics and forms an important component of integrated healthcare. Molecular diagnostic technologies are also involved in the development of personalized medicine based on pharmacogenetics and pharmacogenomics. Currently, there has been a considerable interest in developing rapid diagnostic methods for point-of-care and biowarfare agents such as anthrax. The number of companies involved in molecular diagnostics has increased remarkably during the past few years. More than 1,000 companies have been identified to be involved in developing molecular diagnostics and 269 of these are profiled in the report along with tabulation of 661 collaborations. Despite the strict regulation, most of the development in molecular diagnostics has taken place in the United States, which has the largest number of companies. This was the first commercial report on this topic and published as "DNA Diagnostics" in 1995 by PJB Publications, UK. A new edition in 1997 "Molecular Diagnostics I" as well as the next edition, "Molecular Diagnostics II" in 1999, were published by Decision Resources Inc, USA. All the three versions of the reports were well received and sold widely. The report has been rewritten several times since. This report has evolved during the past 24 years, profiting from feedback by numerous readers and experts. 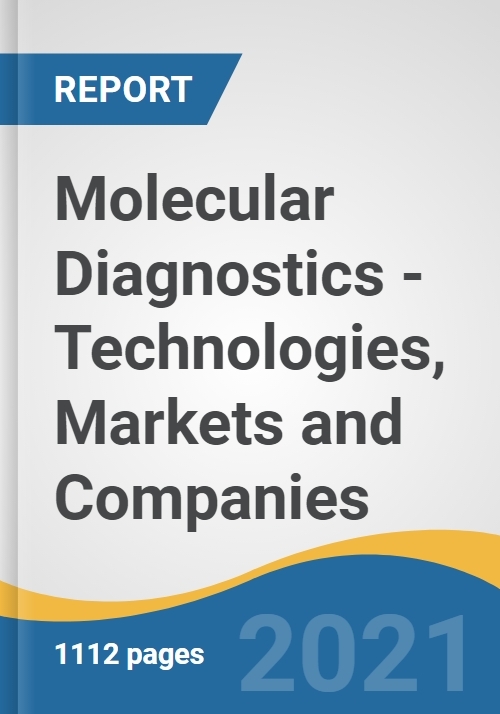 The most comprehensive and up-to-date one-stop source of information on technical and commercial aspects of molecular diagnostics. Includes profiles of 269 companies, the largest number in any report on this topic. 500 references, cited in the report are included in the bibliography. The text is supplemented by 101 tables and 16 figures. Chief executive officers of molecular diagnostic companies. Business development executives of pharmaceutical and biotechnology companies. Executives of companies involved in developing the integration of diagnosis and treatment as well as those interested in personalized medicine. Officers of genomic and proteomic companies interested in diagnostic technologies. Research scientists involved in application of molecular diagnostic technologies. Table 10-1: Forensic and legal applications of molecular diagnostics. Should genetic information be available to health insurers?